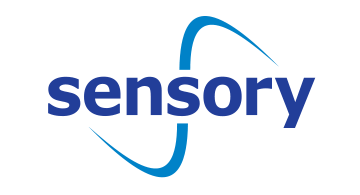 Sensory is an established leader in embedded AI solutions and has had over two billion products deployed with its biometrics and speech technologies. TrulySecure™ is a FIDO-certified biometric authentication technology that Sensory licenses to the banking, enterprise, and consumer electronics markets. • Compatible: By using standard microphones and cameras, no special or expensive hardware additions are needed and TrulySecure can run on any popular mobile device. • Environmentally independent. Most biometrics fail under certain circumstances. By combining two biometrics together, we can loosen or tighten restrictions based on the environment (lighting, noise, etc.) so that TrulySecure can work anywhere and anytime. Contact jrogers@sensory.com to schedule a meeting at Money 20/20.